. 1939 ~ Harry James and his big band recorded Concerto for Trumpet on Columbia 78s.
. 1940 ~ Lucille Ball and Cuban musician Desi Arnaz were married. Lucy filed for divorce the day after their final TV show was filmed in 1960.
. 1943 ~ Nat ‘King’ Cole and his trio recorded Straighten Up and Fly Right on Capitol Records. It was the first recording for the King Cole trio.
. 1968 ~ Diana Ross and The Supremes hit the #1 spot on the music charts with Love Child. The somewhat controversial tune (for the times) stayed at the top for two weeks.
. 1971 ~ ABC-TV presented Brian’s Song as the ABC Movie of the Week. The touching story was about Chicago Bears running back Brian Piccolo and his friendship with Gayle Sayers, who watched Brian die a tragic death. The theme song, Brian’s Song, was performed by Michel Legrand.
. 1974 ~ The Eagles hit, Best of My Love, was released. It would take until March 1, 1975 for it to reach the #1 spot on the top 40 charts.
. 1996 ~ Tiny Tim died performing Tiptoe Through the Tulips to an audience at a benefit in Minneapolis, Minnesota. He cut the song short, commenting to his wife, Miss Sue, that he felt ill. As he was making his way with Sue to her table, amidst the applause of his loyal fans, he collapsed, was taken to a Minneapolis hospital and died without regaining consciousness. In Scotland, and many countries with Scottish connections, St Andrew’s Day is marked with a celebration of Scottish culture with traditional Scottish food, music and dance. 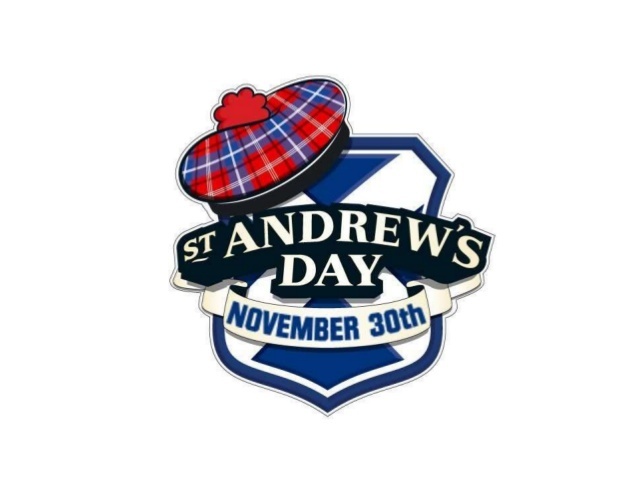 Schools across Scotland hold special St Andrew’s Day events and activities including art shows, Scottish country dancing, lunchtime Ceilidhs, dance festivals, storytelling, reciting and writing poems, writing tall tales, cooking traditional Scottish meals, and bagpipe-playing. The day is also seen as the start of a season of Scottish winter festivals encompassing St Andrew’s Day, Hogmanay and Burns Night. In Edinburgh, there is a week of celebrations, concentrating on musical entertainment and traditional ceilidh dancing. A ceilidh is a social event with couples dancing in circles or sets (groups of eight people). In Glasgow city centre, a large shindig, or party, with traditional music and a ceilidh are held. In Dumfries, songs are performed in the Burn’s night tradition. In Barbados Saint Andrew’s Day is celebrated as the national day of Independence in Barbados. As the patron saint of Barbados, Saint Andrew is celebrated in a number of Barbadian symbols including the cross formation of the Barbadian Coat of Arms, and the country’s national honours system which styles persons as Knights or Dames of St. Andrew. I have just purchased a set of Christmas Shades of Sound Listening & Coloring Book for the studio. Get your piano students listening to great classical music! This Shades of Sound Christmas edition includes 20 pieces of piano and orchestral literature for the Christmas season, from the Baroque to the Modern period. Includes background and historical information on the pieces and the composers, and a beautiful coloring page for each piece. 1829 ~ Anton Rubinstein, Russian composer and pianist. He founded the Saint Petersburg Conservatory.
. 1956 ~ Holding the #1 spot on the music charts: Guy Mitchell singing Singing the Blues. The song remained at the top of the Hit Parade for 10 weeks. Here’s a bit of trivia: Ray Conniff whistled the intro to Singing the Blues.
. 1966 ~ The New Vaudeville Band received a gold record for Winchester Cathedral this day.
. 1974 ~ John Lennon appeared in concert for the last time, at NYC’s Madison Square Garden. Lennon joined Elton John to sing Whatever Gets You Through the Night as well as I Saw Her Standing There. 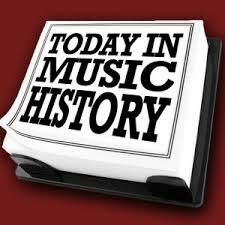 1471 ~ Guillaume Du Fay, French composer, died. Considered the leading composer of the early Renaissance.
. 1867 ~ Charles (Charles-Louis-Eugèn) Koechlin, French composer. He studied under Massenet and Fauré at the Paris Conservatoire. He excelled in colorful and inventive orchestration in his symphonies, symphonic poems, choral-orchestral works (including seven based on Kipling’s Jungle Book), film music, and works inspired by Hollywood, such as the Seven Stars Symphony. He also wrote prolifically for a wide range of vocal and chamber combinations. His writings included studies of recent French music and treatises on music theory.
. 1926 ~ Louis ‘Satchmo’ Armstrong recorded You Made Me Love You on Okeh Records.
. 1935 ~ Eeny Meeny Miney Mo was recorded by Ginger Rogers and Johnny Mercer. The tune was recorded at Decca Records in Los Angeles.
. 1967 ~ The Association, a California group, earned a gold record for the hit Never My Love, on Warner Bros. Records. The group also earned worldwide fame for other hits including Windy, Cherish and Along Comes Mary.
. 1982 ~ The #1 song in the U.S. was former Commodore Lionel Richie’s Truly. The love song stayed at the top of the charts for two weeks. The song was his first solo hit and followed Endless Love, a duet with Diana Ross in 1981.
. 2000 ~ Walter Bailes, a member of the popular 1940s-era Grand Ole Opry duo The Bailes Brothers, died at the age of 80. Walter Bailes, a West Virginia native, and his brother Johnny were the classic Bailes Brothers duo. Brothers Kyle and Homer also performed with the group over the years in varying combinations. Walter wrote much of the group’s material, including popular songs like Dust on the Bible and I Want to be Loved. During their run on the Grand Ole Opry from 1944 to 46, they were among the show’s most popular acts. Kitty Wells, Flatt & Scruggs, and The Everly Brothers all recorded songs written by Walter Bailes. The Bailes Brothers left the Opry in 1946 and moved to Shreveport, La., where they helped launch the Louisiana Hayride radio show. They continued to occasionally perform throughout the 1950s.